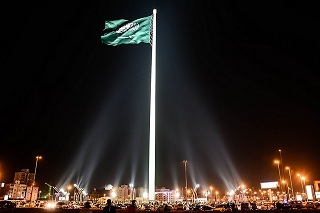 If you are a foreigner and moving to Saudi Arabia to find a job is an option for you, this guide will introduce you the significant aspects of preparing your move to Saudi Arabia, such as popular expat cities, in-demand occupations, work visa requirements and salaries for foreign workers. Because of good salaries and working conditions, a lot of people from abroad are interested in moving and working in Saudi Arabia. With its wealth, huge oil reserves and great job opportunities for foreigners in the fields of oil production, natural gas, and mining, Saudi Arabia is one of the most attractive countries for foreign job seekers. Other important sectors in Saudi Arabia that hire thousands of foreign job seekers are real estate, construction and education. Many expats in Saudi Arabia are employed in those sectors because that’s the major driving forces behind the country’s economy. Foreigners in Saudi Arabia have greater chances to find a job in these sectors, because there’s local skilled labor shortages. About 70% of workers employed in Saudi Arabia are foreigners. Most Saudi Arabia citizens are employed by the government, and almost 90% of employees in the private sector are foreign nationals. The construction sector is one of the fastest growing in Saudi Arabia, so there is a constant high demand for construction workers. There is a long-term lack of local labor for engineer jobs, so job opportunities for foreign professionals are a great chance to get a job in Saudi Arabia. Maintenance workers in Saudi Arabia are usually hired by petroleum companies and petroleum equipment production companies. One of the most in-demand jobs in petroleum and natural gas industry. Mechanics are amongst the best paid low skilled workers in Saudi Arabia. As one of the occupations that requires high organizational skills, employers usually hire foreign professionals for this job, because there is a lack of local skilled workers. As a real estate market in Saudi Arabia grows, real estate agents are amongst the most in-demand jobs. Jobs in the healthcare sector are permanently considered as shortage occupations in Saudi Arabia. There is a high demand in hospitals and medical centers for medical staff. Foreign translators usually are being employed by large exporters of petroleum in Saudi Arabia. Driving is the main mode of transportation in Saudi Arabia, because of low oil and gas prices. The majority of truck drivers in Saudi Arabia are foreigners from Southeast Asia. One of the most popular professions for foreign English speaking job seekers in Saudi Arabia is an English teacher. There is a high demand for English teachers in an international private schools and universities. If you reside in Saudi Arabia and looking for a job, the best way to get a job is to use your network of personal contacts and referrals, services of the local employment agencies, and classifieds in local newspapers. It is also recommended to use local job search engines in Saudi Arabia. If you don’t reside in Saudi Arabia and seeking for a job in this country, the best resources for job seekers are online job search engines, job boards and listings. There are many specialized job search portals for job seekers and job search engines in Saudi Arabia like Mihnati, MySaudiJobs, AlAjnabia, or SaudiJobSearch. You can use these job search engines, using terms like professions, job description, company names, or place to work to generate local job listings. Keep in mind that there are some regulated occupations in Saudi Arabia, including engineers, auditors, dentists, therapists, surgeons, veterinarians and teachers. If you are an expat and your occupation is one of them, you will need to get right qualification recognized by the Saudi authority before you can start working in Saudi Arabia. Some companies in Saudi Arabia hire employees to work from their homes or arrange with some employees who started working in an office in Saudi Arabia to work from home. After that foreign employees were able to left Saudi Arabia and continue to work from home in a country they came from. 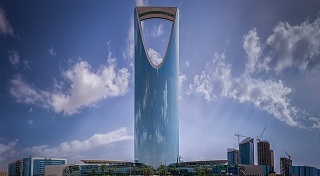 Saudi Arabia is the second-largest country in the Arab world with a total area of 2.149.690 km2 (830.000 sq mi) and a total population of about 33 million. Saudi Arabia is located on the Arabian Peninsula, bordered by Jordan, Iraq, Kuwait, Qatar, Bahrain and the United Arab Emirates. The official language is Arabic, but English is widely used in international companies, as a business language. The large expat communities also speak their own languages, such as Tagalog, Rohingya, Urdu, and Egyptian Arabic. The official currency is the Saudi Riyal, and wages and salaries are paid in this currency both for Saudi and foreign nationals. About 30% of the population in Saudi Arabia are immigrants. Foreigners are usually attracted by the employment opportunities in Saudi Arabia. The majority of foreign workers resides in urban centers, such as Riyadh (economic and administrative hub of the country), Jeddah and Dammam. About 80% of the population in Saudi Arabia live in metropolitan areas. Other favorite cities for expats who reside and work in Saudi Arabia are: Mecca, Medina, Ta’if, and Al-Ahsa. The largest communities of expats in Kuwait are: Pakistani community, Indian community, Egyptian community, Yemeni community, Bangladeshi community, Filipino community, Sri Lankan community, Indonesian community, and Sudanese community. There are also around 100.000 Westerners who live and work in Saudi Arabia. The typical workweek in Saudi Arabia is Sunday to Thursday, with some stores and offices also open for a few hours on a Friday, rarely on a Saturday. Typical work hours per week 48 hours, 30 hours during Ramadan, for Muslim employees. Employers in Saudi Arabia sometimes provide benefits such as housing allowance or a place to live for foreign nationals. The largest employers in Saudi Arabia are from crude oil industry and petroleum export sector. Notable employers are: Saudi ARAMACO (Saudi Arabian Oil Co.), SABIC, Ma’aden, ICT Services, Al Tazaj, Almarai, Rezayat, Saudi Oger, Saudia, Saudi Telecom Company, Petro Rabigh, and Panda Retail Company. In order to work temporary in Saudi Arabia foreigners have to obtain a Saudi temporary work visa before departure. Work visa and valid passport are required to work in Saudi Arabia. The duration of the work visa depends on the duration mentioned by the sponsoring company in an invitation letter. It is recommended that work visa applicant ask correspondent in Saudi Arabia for the longest validity possible. Required documents to obtain Saudi work visa are: valid passport (without Israeli stamps), 2 passport photos, visa application, payment receipt, a letter of invitation from the Saudi employer legalized by the Saudi Arabia Chamber of Commerce, work permit (employer in Saudi Arabia obtains this for you), medical cerfiticate and blood test not older than three months, and ID card. Keep in mind that the process to obtain work visa takes about 5 days and costs about $350.